participants will learn to build a rain garden at the arboretum. landscape. Please wear proper work clothes and footwear for the outdoor work project session. Friday April 6. Attendance is limited to 25. Volunteer credit is available for the work session. Engineering in the Biosystems Engineering and Soil Department at the University of Tennessee. 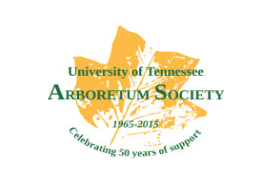 program that seeks to certify private property across the state as “Tennessee Smart Yards.” Dr.
www.utarboretumsociety.org. For more information on the program, call 865-483- 7277.